Triax’s Spot-r platform provides real-time visibility into workers, safety, and resources across project sites. Through a scalable mesh network and compact sensors, Spot-r automatically collects and transmits real-time worker time and attendance and location data as well as worker falls and push-button alerts. 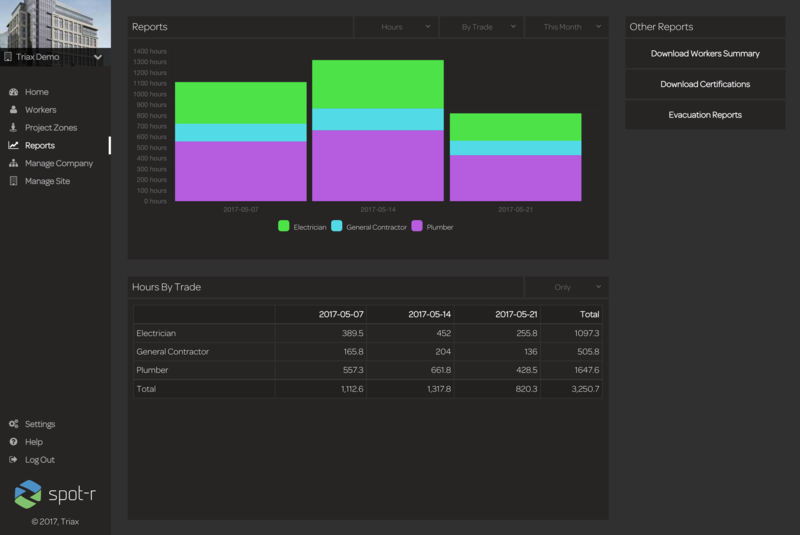 This two-way integration pushes accurate Spot-r workforce data into Procore for timecards, manpower, accidents, and daily construction reports. 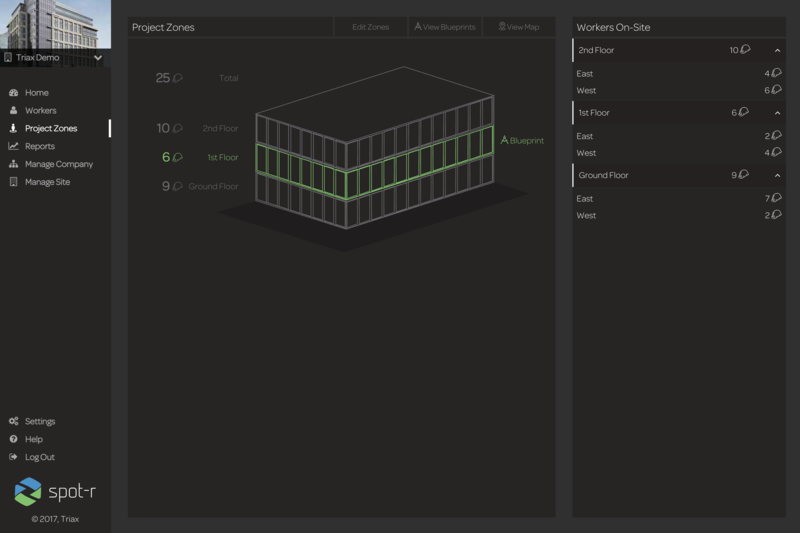 Additionally, new and current Spot-r users can pull existing project information from Procore’s platform, facilitating easier set-up within the Spot-r platform and eliminating possible data double-entry. Triax Technologies, Inc. develops and delivers Internet of Things (IoT) solutions for the construction industry. 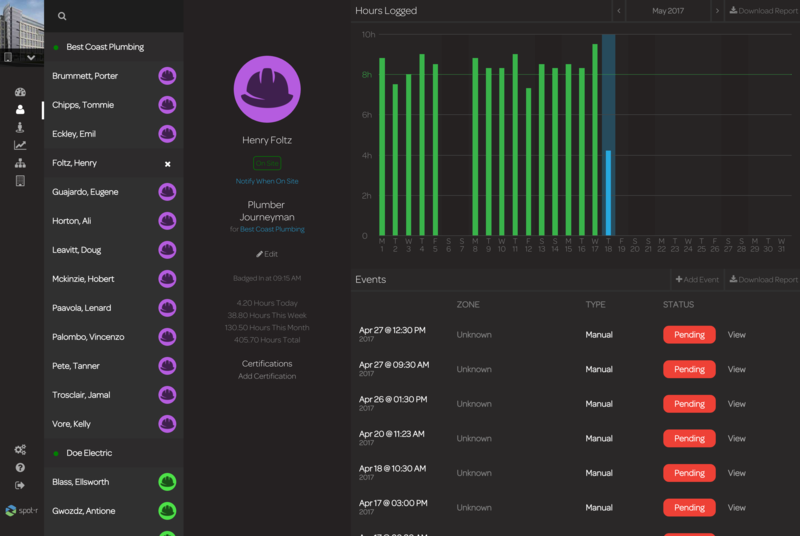 Its flagship Spot-r system connects workers, equipment and managers through a proprietary, minimal infrastructure network, sensors, and a Cloud-based dashboard. By providing real-time, data-driven visibility into daily site operations and safety incidents, Spot-r is changing the way construction companies manage resources, information, and risk. Triax develops intelligent, actionable solutions that address the complexities of an active jobsite, and helps firms streamline processes and build safer and smarter. Built by Triax Technologies, Inc.